If the adjust costs runs overnight what will happen to transactions that posted with the potentially incorrect costs? Will they update also? Regardless of what was posted, it will be adjusted to its correct cost based on whatever is input by the user. We have problem with production/assembly Items when we use Job Queue. There items are not update. You have to get in contact with your NAV partner so they can take a look on why it doesn’t run. 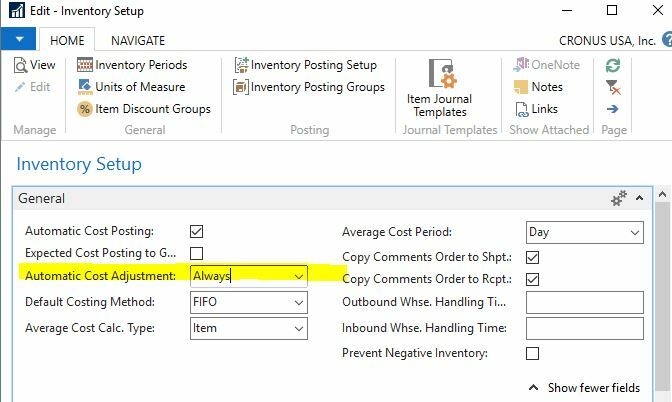 Have you tried any other method in Dynamics 365 Business Central for Cost Adjustment. What other methods are you referring to? Running the adjust cost on the job queue at night, in my opinion, is the most effective way of running it.